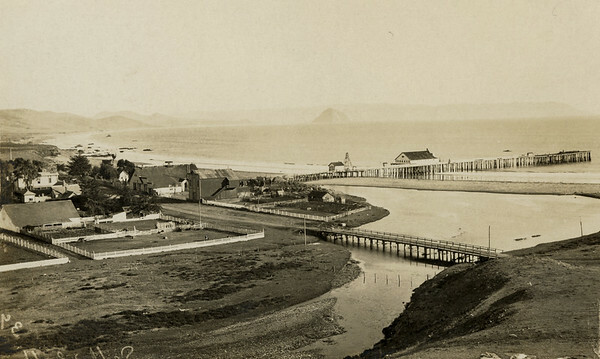 Cayucos Pier and coastline, c. 1911. #1949.001.094. Hwy 1, Cayucos Creek, and Cayucos Pier with Morro Rock visible in background and farms in foreground. Postcard addressed to Miss Clara Sauer, postmarked Nov 20, 1911.